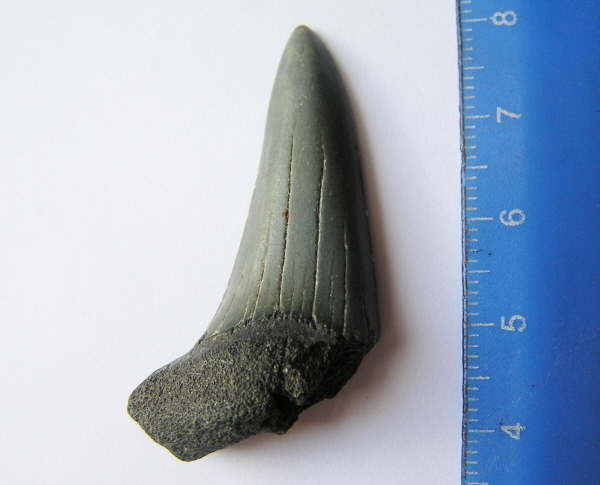 This is a beautiful fossilised Mako Shark tooth. While the roots are largely missing on this and the other Belgian teeth - the teeth themselves are large and beautiful! Mako often get a raw deal with collectors - as they don't have the appeal of Great White teeth. This is a shame as they are lovely teeth with a super shape and some amazing colouration. This tooth comes boxed in a gorgeous display quality padded box and labelled and is ready to give as a gift! - or why not just keep it yourself ! !